These Minimates are actual size! This box set of mini-figures captures the cast of the next Marvel movie in the 2-inch scale, so you can have life-size superheroes running around on your desk! Scott "Ant-Man" Lang, Hope "Wasp" Van Dyne, Hank Pym and the Ghost are all included in this four-pack, packaged in a full-color window box. Each Minimate has 14 points of articulation, fully interchangeable parts, and most have removable helmets. 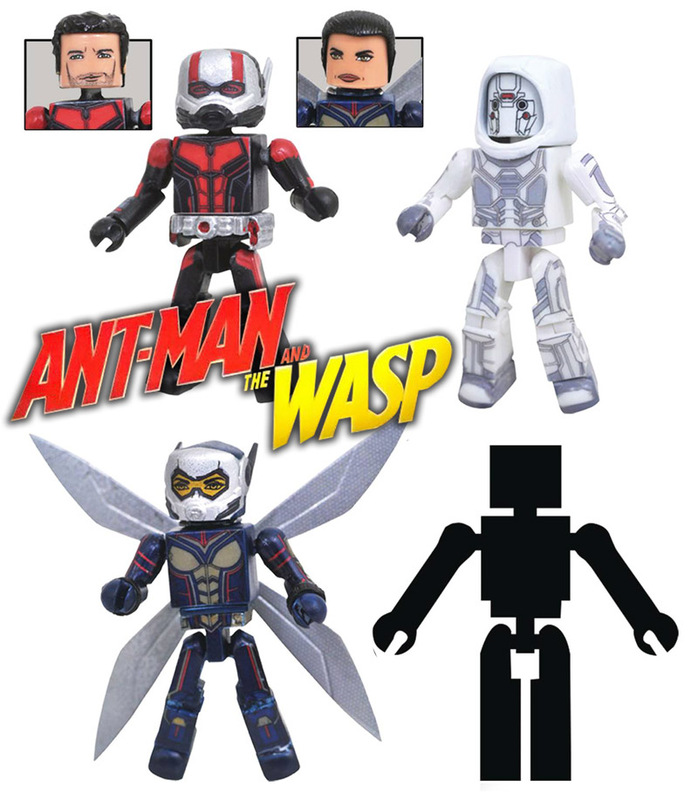 "The trailer for this movie looks like a lot of fun, and Wasp looks fantastic as a Minimate!"